OMG! This was the first time putting the ol’ knee wraps on since the meet in December, and I had forgotten just how awful they feel! On the other hand, I had forgotten just how good squats feel with them on. I definitely had some more left in the tank today. I am glad we are starting back with the wraps a few weeks out so that I have time to fully adjust to the pain and gain of them again. Spent the rest of this beautiful Sunday hanging out with some good friends and their adorable toddler! I was pretty sad when Emily moved away after nursing school so I am thrilled to have her back in Indy. I can’t say we exactly picked things up where we left off as that would have involved some serious daytime drinking downtown :), but it was a fun visit nonetheless and I’m looking forward to spending more time with her. Got in a little 4th of July workout with some friends today! It was squat and deadlift day for Gabe, Andrew, Zach, and I and energy systems day for Kristin. 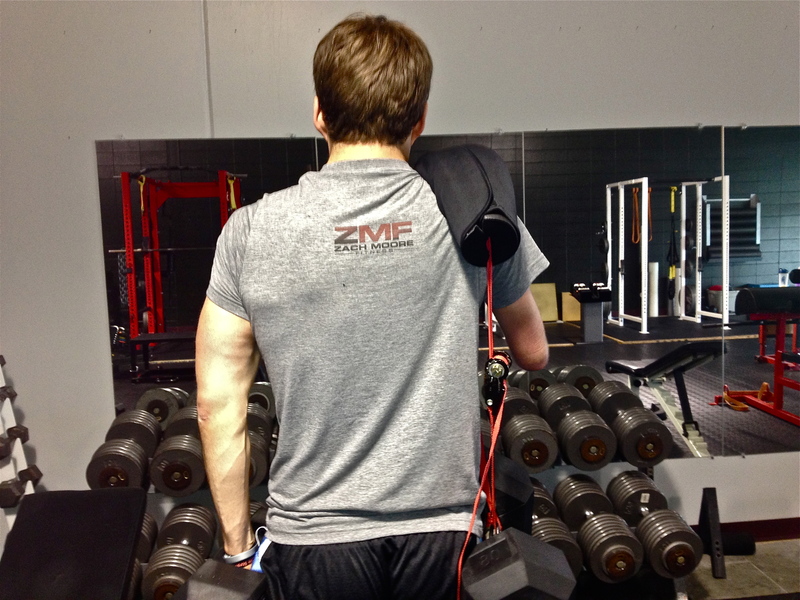 Zach got his logo done for Zach Moore Fitness so I wasted no time naming myself the official fashion director of Zach Moore Fitness and hooking myself up with some ZMF apparel! My lifts were all feeling pretty strong today so I am just going to go ahead and say that part of it must have been the new ZMF gear. 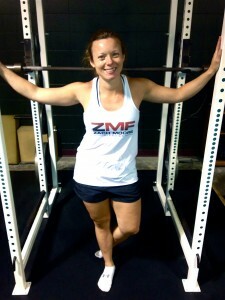 If anybody is interested in a ZMF shirt of your own, leave Zach a comment to let him know. We are still looking into vendors and what not but should have some ready to go soon! Happy 4th to everyone! Hope everyone has had a great holiday!